The Bashar Assad regime has killed at least 548 Palestinians by torture in Syrian prisons, according to a recent report by a London-based human rights monitor tracking the situation of Palestinian refugees in Syria said. The report published by the Action Group for Palestinians of Syria (AGPS) on April 16 said that the Palestinians who have been tortured to death in regime-controlled prisons included women and children. The fate of over 1,748 other Palestinian captives remains unknown, the report added. 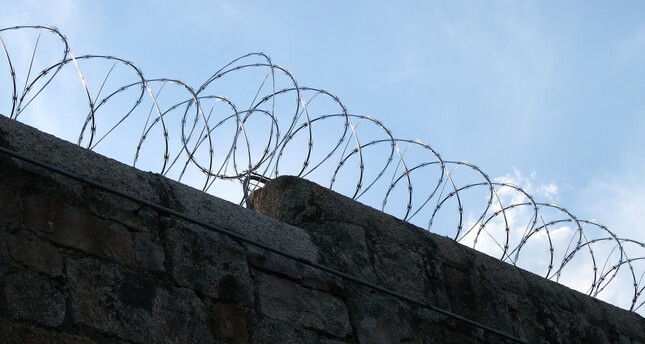 "Affidavits by ex-detainees provided evidence on the involvement of Syrian government officers in harsh torture tactics, including electric shocks, heavy beating using whips and iron sticks, and sexual abuse against Palestinian detainees, in a flagrant violation of the Convention against Torture and Other Cruel, Inhuman or Degrading Treatment or Punishment, commonly known as the United Nations Convention against Torture (UNCAT)," AGPS said. Hundreds of Palestinians living in Yarmouk Refugee Camp located in Syria's Damascus were previously forced to migrate outside of the camp in May 2018 due to constant regime attacks. The camp residents had also targeted by clashes between the regime and Daesh terrorist group, which once controlled parts of the camp along with a nearby area of Hajar al-Aswad. Reports said that the captives are thought to be those who left the camp at that time.